SOUTECH has employed some of the best Ajax developers and programmers who are well qualified in the development domain and Ajax technologies. We can develop Ajax based solution that gives facelift to your existing website application. With extensive expertise, we can convert your existing website application into responsive, which is the need of the hour. Due to the extensive use of smart gadgets and hand held devices with internet facility, businesses tend to develop responsive applications. Our Ajax developers are experienced and have several successful projects for our diverse clients. SOUTECH’ team of Ajax developers and programmers can integrate Ajax with other major technologies such as Microsoft.Net and PHP. Hire our dedicated and part time Ajax developers and programmers at an affordable cost. 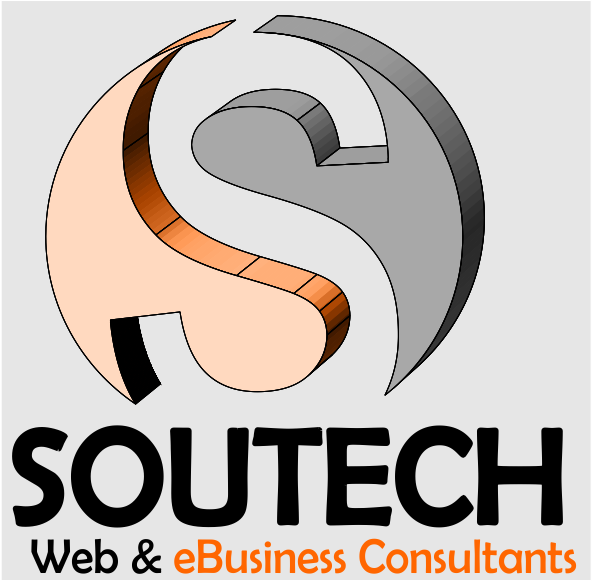 SOUTECH is a leading provider of Dot Net development services and customized software solutions in Nigeria. Our capabilities include creating custom business applications, creating eCommerce sites, portals and full-fledged Dot Net migration. Our Dot Net developers in Nigeria are ready to meet any Dot Net requirements that your business needs with a highly customized robust solution for your business. Explore our competencies to learn how SOUTECH can help you achieve your business objective with our solutions. SOUTECH is a Microsoft gold certified partner as we have been following Microsoft standards of coding and delivery. We, at SOUTECH, have made extensive use of .NET platform as we have worked with .Net WinForms, XLM, SQL Servers and Microsoft.Net using both VB.NET and C#. We offer migration services from ASP and web enabled legacy applications to Microsoft.Net. We have some of the best .NET developers from the industry who have exposure to various international .NET development projects. No doubt, PHP is world’s most used, tested and preferred open source platform that has supported millions of websites across the world. Some of the world’s busiest and largest websites run on PHP framework. PHP framework is the base of many existing platforms such as Drupal and Zend. PHP is extremely flexible and robust that offers developers opportunities to develop websites on PHP platform. Due to its suppleness, it can be extended depending on the future requirements of the business. Its ability to embed with any third party application allows businesses to add any feature that can get them a technology advantage over competitors. PHP comes with pre-built applications and numerous supporting features. It has a large developer community to offer support for any kind of design and development functionalities. SOUTECH has some of the industry’s best PHP developers and PHP programmers based in Nigeria who are experienced, skilled and certified professionals. They have accomplished numerous successful projects for clients in Nigeria and internationally. They are capable of converting any imagination or business thought into a solution. Their ability to design to demand is undoubtedly the reason for our success. SOUTECH’ PHP developers and PHP programmers have worked on mission critical projects turning impossibilities into pliant and powerful PHP solution. SOUTECH offers both part time and full time PHP developers. From developing small web portal to developing a huge eCommerce website and knowledge management to CMS development, our PHP developers and programmers are fully equipped with the required skill-sets and infrastructure. RIA is an acronym of Rich Internet Application that is a web application with resembling capabilities of desktop application software. The rich characteristics are mainly delivered through Sandbox, Virtual Machine and Java Script. RIA offers rich user experience and improves productivity. RIA can be leveraged to provide users with great quality and engaging experience that is deployable across browsers and desktops. Our belief in offering quality service and user experience has enabled us to create solutions to the needs of our clients conferring better user experience and great quality. Our RIA developers are capable of providing services that exactly match your business requirements within the timeframe. Our economical RIA based solution is unrivalled that gives our clients an edge over their competitors. We help you stand one-step ahead of your competitors! HTML5 as per the Google Trends is replacing Adobe Flash that had the desktop browser penetration rate of 96% until 2012. SOUTECH has employed some of the best HTML5 developers who have immense expertise in HTML5 development services. Our HTML5 developed solutions have gained kudos from all our esteemed clients. Microsoft SharePoint is a highly flexible platform integrated with Microsoft Office the world’s most used office application.It helps businesses create workspaces, organize meetings, and streamline collaborative activities for various departments and individuals. SOUTECH is a leading Microsoft SharePoint development agency based out of Nigeria providing services to businesses of all size across continents. Being a Microsoft gold certified partner, SOUTECH is committed to providing high quality, innovative and efficient SharePoint development services to our clients. Our team of offshore SharePoint developers are highly experienced and qualified to create tailor made solutions by customizing and integrating Microsoft.Net and web components. We, at SOUTECH, make the most of the document library of SharePoint to confer business a mechanism to share, manage, store and collaborate documents with features to track, revise, and assign individual security settings. From portals to eCommerce and installation to customization, SOUTECH Is capable of completing projects on time and within the defined budgets. SOUTECH leverages the highly robust technology to design solutions for our clients across continents. Simple Sharing: Microsoft SharePoint’s framework permits users to conveniently manage, store and share information across the organization. As the documents are managed and accessed through a centralized document repository that helps individuals create personalized workspaces or white board. Scalability: SOUTECH helps businesses scale and extend the platform catering to future technological requirements that saves your time and money. From creating alerts or notifications to creating business based communication tools, SharePoint framework can be used to create such applications and tools. Deployment: Microsoft SharePoint can be easily installed on single computer as well as complex network computer systems. Security: The frameworks allows admin to grant access to users to upload specific files, based on the permission assigned, or block users to upload to document repository or download it. To maintain integrity and security, different rights and permissions can be assigned to various user types. Synchronization: Our Offshore SharePoint developers can ensure features enabling users to create and manage contact list, files, and documents offline, and get them synchronized when they are online. Microsoft SharePoint is highly customizable. You can also hire our talented Sharepoint developers to work as your dedicated resources/offshore team reporting directly to you. A brand needs to create its online visibility and reputation considering universal clients. It should be capable of translating business messages to the target clients in order to extend the reach to a wider consumers-base. A mere website with business information cannot satisfy the needs of existing and potential clients. SOUTECH designs websites with user friendly features that helps consumers come back to the website. It should understand the difference between a lead and a potential client. SOUTECH helps business generate more leads from web leveraging the feature-rich and search engine friendly website. Our website design team comprises of expert developers and designers who are capable of meeting any design needs and application requirements. The eCommerce website that we design offers high level of usability and great experience that helps generate more leads from the web. SOUTECH is a web development company based out of Nigeria that specializes in website designing, application development, IT consulting and offshore development services. Our track record, so far, has been great. Our web and mobile solutions have been acclaimed by clients for our endeavors towards bringing forth innovative solutions. From creating eCommerce websites to eLearning portals for corporate houses and real estate to entertainment websites, SOUTECH develops solutions specific to industry, business, and clients. The team at SOUTECH is committed to providing quality and affordable services with maximum flexibility to our clients in order to help them maximize profit. Our efforts are directed towards yielding more compatible web solutions.